2019 marks the centenary of the post-World War I Housing Act of Parliament known as the Addison Act after the minister who was responsible for putting Prime Minister, David Lloyd George’s Homes for Heroes concepts into action. Lloyd George argued for new housing to be built appropriate for the people of Britain who had made such sacrifices during the war. At this time, immediately after the war, there was a housing crisis in the UK. Many people were living in dilapidated private rental accommodation that, for decades, had been deemed slums. The Housing Act of 1919 was the first time the government took comprehensive action to address this situation. The Act gave local authorities the right to purchase land and build houses for the working classes. The houses had to be built to an agreed specification based on the garden suburb principles outlined by Ebenezer Howard in his publication Garden Cities of To-morrow (1898). In this way the Act defined the type of housing that people would recognise as the standard 20th century dwelings – 3 bedrooms, semi-detached, 2-storey brick-built houses. In Bristol the first garden suburbs built as a result of this act were at Hillfields (or Fishponds Park), Sea Mills, Knowle Park and Shirehampton (although this was an area of temporary houses built from the reused army huts from the WWI Remount Depot that had occupied the area). 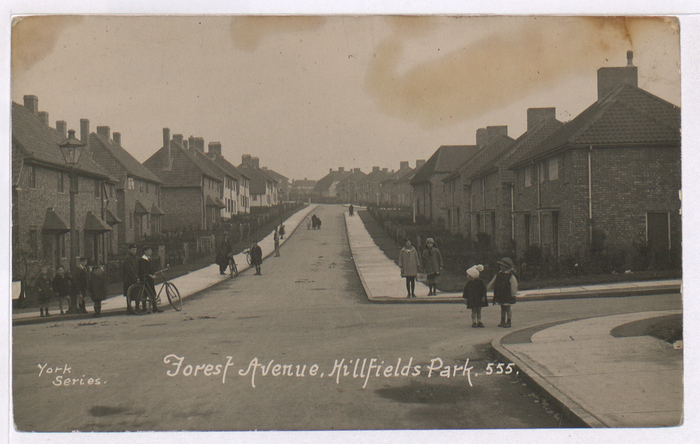 Of these estates Hillfields contains the earliest houses built in 1920 and by the time the Act was cut in 1921 (Geddes Axe – first government implemented cut of this type affecting the working classes), Hillfields was the largest suburb in the city. The local authority held an architectural competition to design houses for the estates. Fourteen architectural designs were selected, and it was decided to build a ‘demonstration area’ of these buildings at Hillfields and invite delegates from across Bristol and beyond to view them. 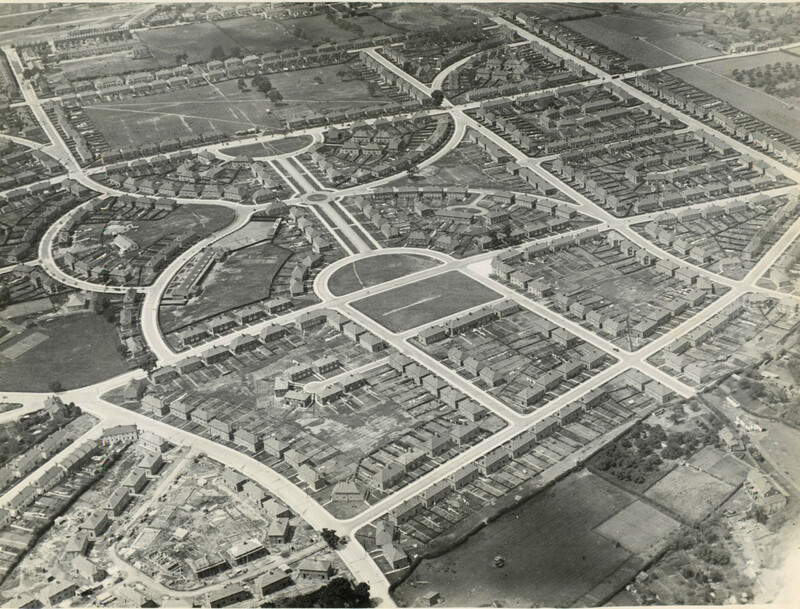 As a result, Hillfields was developed using the competition winners’ house designs resulting in an estate with more architectural variation than any other inter-war suburbs. Hillfields represents the physical development of the standard house type that can now be seen in all the inter-war estates; Horfield, Knowle, Southmead etc. Image at top of page, young footballers on the Hillfields recreation ground in about 1922, courtesy of Mr Baker and Know Your Place.